Do you sometimes have trouble explaining what you do or describing what makes your product or service special? Do you have a clear “elevator pitch”? Which you will see below, I prefer to call it your “promise”! 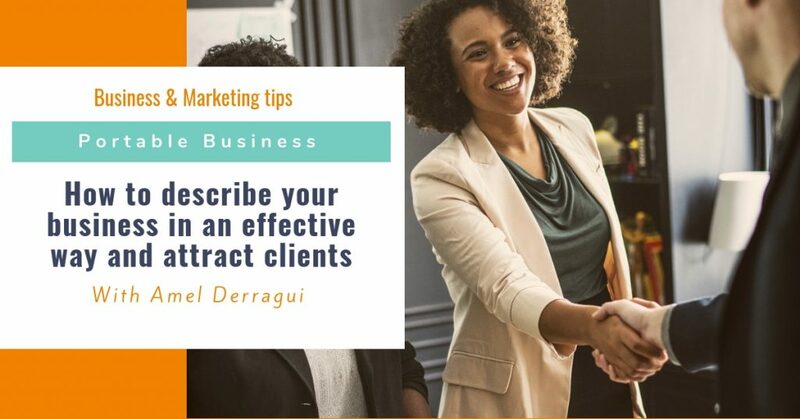 I will share with you here a simple exercise and easy templates that will help you use the right words to attract the attention of potential clients, or even referrals! It will also help you reflect on your unique selling point and extract the right tagline or title to describe your business, products or services. → A is the situation of your target audience before they use your product or service, the problem and pain points you solve. → B is the situation after, the results your clients get after they use your product or service. How can you explain this transition in a way that casts a spell and captures interest? I’ll break down the process into three critical steps below. Long before you ever meet or engage with your audience, you’ll need to conduct some research and lay the groundwork. Preparation means success, so learn as much as possible about your target clients. How would you define your target buyers? Who are they? What kind of language and keywords do they respond to? What difficulties and issues are they struggling with? Describe clearly your offer and how it works, how do you take your clients from A to B? (“The process”). NB: If you are an artist, you may want to replace the idea of “solving a problem” and “pain points” by responding to a “desire” and “emotions”. As mentioned above, I prefer to use the term “promise” to the often-used term “elevator pitch”. Both describe more or less the same thing, but the first implies a meaningful relationship and a different mindset when approaching potential clients! If you are —- (Identifiers) and struggle with —- (pain point) and —-(pain point), you’ve come to the right place. Once you discover —-(process or offer description), you will —-(result) and —-(result). If you are an expat partner, if you gave up your career because your spouse has a job that makes your family move from one country to another every couple of years (identifier) and if you feel lost (pain point) or struggle to build something for yourself (pain point), you’ve come to the right place. 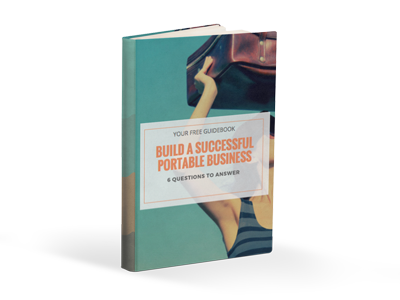 Once you access Tandem Nomads’ free resources, coaching services and online trainings to guide you step by step through the process of starting and growing a successful portable business (process) you will be able to build your own source of fulfillment and contribute to your family’s comfort with your own income (result). Make sure to use the keywords that your target audience identifies with and uses to express its challenges and desired results. Also, make sure to test your promise and see if your target audience really resonates with it. Once you’ve done this exercise and are comfortable with the outcome, you will be able to simplify it into something that something they might feel more natural for you. You will also be able to fine-tune it over time and have a solid base to work on your tagline or an effective title. Ex: ”Tandem Nomads helps expat spouses turn their dual career challenges into a successful portable business”. Practice your promise and memorize the “identifier”, the “pain points”, “results” and “process” (or offer description)! This template has another advantage, it allows you to be very clear about what you do so that even people who are not in your target audience understand what problem you solve. In fact, they may know someone who has that problem! If people understand clearly what you do, they are more likely to refer you! Of course life does not come with a script, and you won’t always be able to predict when and how you’ll need to use this information to win over a potential contact or customer. However, the more you will practice, the more you will have a feel for it and how people react to it, the more you will be able to adjust it and get the best results. Would you like to learn more and see real life examples of the template in action? Click here to download your free templates to describe your business effectively and attract clients! One more step: Let me know if you found this template helpful! Leave your feedback below!